Tonight was the first of three public meetings about the proposed Maple Street Overlay and was organized by Councilmember Susan Guidry. About 60-70 people attended the meeting at Spruce Street Community Commitment Education Center. Councilmember Guidry reported that on June 3 she submitted a motion to the City Planning Commission (CPC) to study the proposed Maple Street Overlay between Lowerline St. and S. Carrollton Ave. Her handout includes the background of the Overlay, the alcohol and live music regulations in the new Central Zoning Ordinance (CZO) that go into effect August 12, 2015, and a list of restaurants, bars and convenience stores operating on Maple Street. People spoke in favor of and against the overlay. Everyone who signed in was given the opportunity to speak for two minutes. If you didn't want to speak, you could concede your two minutes to a representative who spoke on your behalf. 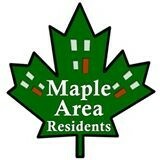 The next two public meetings about the Maple Street Overlay will be with the CPC and the City Council. Check back here or our Facebook or Twitter pages for dates! Plan to participate. Now is the time to speak up! !